Headline indices of the Australian financial market declined on Friday, 08 February 2019, as investors elected to withdraw profit off the table following strong gains in previous four straight sessions, amid concerns about a broadening global economic slowdown and the absence of any positive signs for a resolution in the US-China trade row. 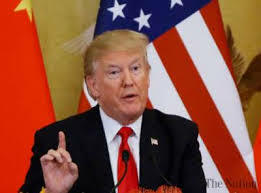 Adding to the gloomy mood, President Donald Trump said he did not plan to meet with Chinese President Xi Jinping before a 1st March 2019 deadline to achieve a trade deal. Around late afternoon, the benchmark S&P/ASX200 index dropped 27.07 points, or 0.44%, to 6,065.40 points, while the broader All Ordinaries index shed 29.08 points, or 0.47%, to 6,130 points. Global markets provided local equities with a weak lead overnight due to a lack of progress on the US-China trade negotiation front and fears of a global slowdown. According to President Trump, a meeting with Chinese President Xi is unlikely to occur before 1 March (the self-imposed deadline for a trade deal). White House economic advisor Larry Kudlow told Fox news that there is a long way to go in the trade talks. Investor confidence dented as it became clear that a trade meeting between President Donald Trump and Chinese President Xi Jinping would not happen before a key March deadline. White House economic advisor Larry Kudlow said earlier on Thursday that China and the U.S. were still far away on striking a trade deal. China and the U.S. have until the start of March to strike a trade deal. Otherwise, additional tariffs on Chinese goods take effect. As a deadline approaches for a high-stakes trade deal between the U.S. and China, some top American business figures who fear the economic and market consequences of a failure are pushing both sides to compromise. Financials advanced, with shares of the three of the four major banks led rally. On Thursday, National Australia Bank announced the resignation of chief executive Andrew Thorburn and chairman Ken Henry.  ANZ inclined 0.4%, Commonwealth Bank added 0.8% and Westpac added 0.04%. NAB shares fell down 0.8% after the bank announced the resignation of chief executive Andrew Thorburn and chairman Ken Henry following the close of trade on Thursday. Shares of energy companies declined after oil prices fell more than 2% overnight, hurt by concerns that global demand growth would lag in the coming year. US crude futures slipped 0.3% to $52.48 per barrel, extending losses after dropping 2.5% in the previous session. Among energy stocks, Woodside Petroleum was down 1.9%, Oil Search slipped 3.4%, Origin Energy dropped 2.4% while Beach Energy slumped 7%. Among individual stocks: REA Group shares was down 4.5% after property classifieds firm said its Australian real estate listings had dropped 3% in the first half and the company warned of further possible declines in the second half of the year due to Federal and State elections. CURRENCY: Australian Dollar fell against greenback and against a basket of other peers on Friday, after the RBA released its statement on monetary policy, with the central bank cutting its forecasts for inflation and GDP. The Aussie dollar was buying 70.70 US cents, from 70.99 US cents on Thursday.